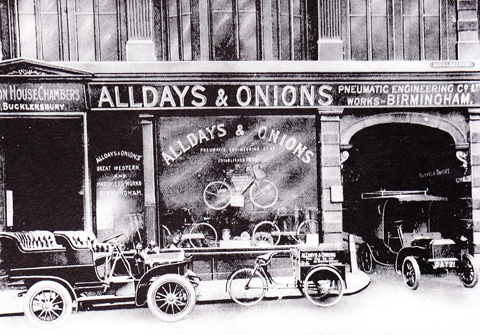 Alldays & Onions is Great Britain’s oldest surviving engineering company, established in 1650. 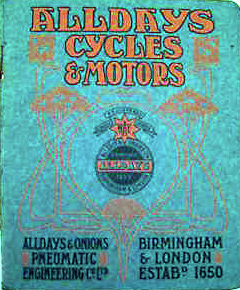 They started making bicycles, among many other products, in 1885. 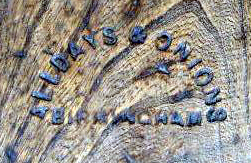 You can see their famous chainwheel, below, sporting the company’s ‘A&O’ logo. 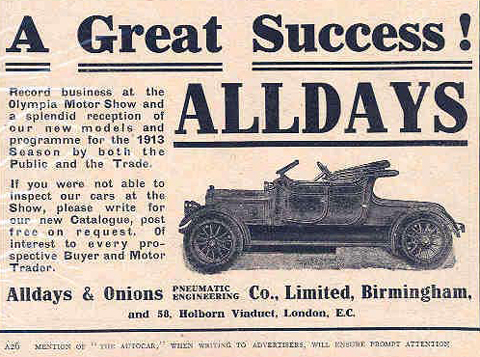 Alldays roadster bicycles are very rare, as cycle production direct to the public was not their main product line – most of their cycles were commercial variants, tradesmen’s bikes, tricycles, and they had a contract for many years to supply post office cycles. This example is in good all-round condition.